The personal pronouns, I and me are frequently used incorrectly because writers do not remember the rules for case. Case is the grammatical functions pronouns have in sentences. To make matters worse, speakers regularly use myself in place of I or me because they do not know which is correct. Do not be confused by celebrities who have a penchant for me, myself, and I. Use subjective case I for all subjects. Use subjective case I for subject complements. Subject complements are additional information about the subject/actor, and they follow linking verbs. In dialog, writers can have characters speak idiomatically. A character enters a house, and his spouse calls to him from another room. “Is that you?” The character will probably answer, “It’s me.” Regardless of how often It’s me is said, writers should know the correct form. Notice this strange subject complement structure. I denied that the thief was me. Sometimes it helps to reorganize the sentence to tease out the correct form. Me was the thief, obviously does not work. In this instance, the correct form is stiff. If writers prefer, they can rewrite the sentence. None of the above examples will support the use of myself. Remember: Myself is always wrong as a substitute for I or me. Use the objective case me for all object positions. Object of a preposition. The easiest usage to remember is object of a preposition. Prepositions are words that connect nouns or pronouns to other words in the sentence, usually for purposes of modifying the other words. To, from, and with, for example, are prepositions, and they are always followed by objective case pronouns. When speakers and writers are unsure about this structure, they are often tempted to use myself. Resist the temptation. Myself is a reflexive or intensive pronoun. It should never be substituted for I or me. A simple matrix will help keep the important elements in order. Although the focus of this article is on I and me, case rules that apply to I and me apply to all personal pronouns. Dodici Azpadu, MFA, PhD is a novelist, short story writer, and poet. Her fiction publications include: Saturday Night in the Prime of Life and Goat Song (Aunt Lute/Spinsters Ink) and subsequently Onlywoman (London, England). 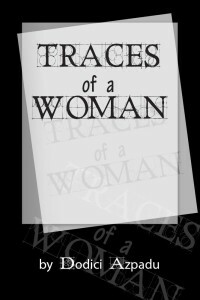 Living Room (2010) and Traces of a Woman (2014), both by Neuma Books, are available as ebooks. She’s currently at work on a novel, tentatively titled Living Lies. Her poetry publications include Wearing the Phantom Out (2013) and Rumi’s Falcon from Neuma Books. Individual poems have appeared in Malpais Review, Adobe Walls, ContraACultura (online), Parnassus, Sinister Wisdom, Latuca, The Rag, and The Burning Bush. Her work has also been anthologized in Centos: A Collage of Poems and Hey Pasean! Dodici teaches “The Joy of Poetry” and “Craft of Creating Writing” classes through University of New Mexico’s Osher Lifelong Learning.